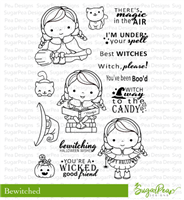 This bewitching stamp set will have you under its spell. The three darling witches (in three different poses) are accompanied by a feline friend, candy bucket and hat. Youll enjoy the clever and punny collection of sentiments that are perfect for Halloween cards, tags, treat bags and other spooktacular projects. 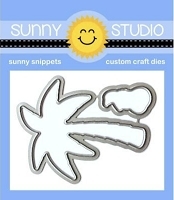 And to make creating a breeze, pair this stamp set with the coordinating, SugarCuts Bewitched die set (sold separately) for quick, easy and professional paper crafting projects.